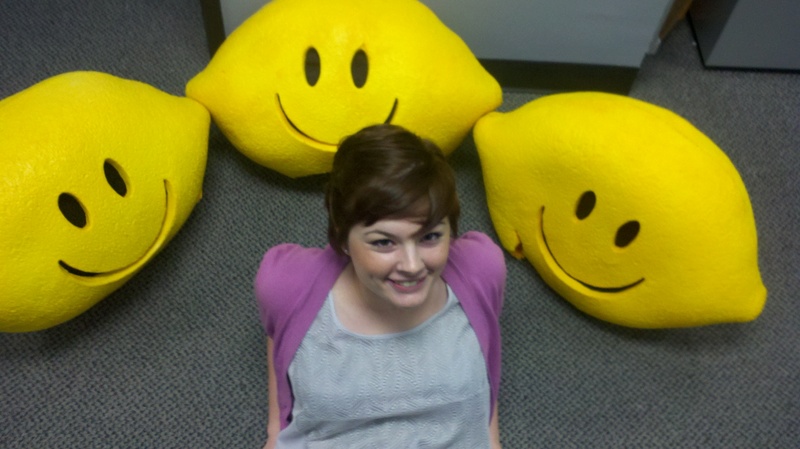 This week we caught up with Lemonade Day rockstar, Kasey. Here are some things I bet you didn’t know about the gal who provides support for the 31+ Lemonade Day cities … from budding graphic designer to Access know-it-all, Kasey totally geeks out over all things design and technology! What’s your favorite flavor of ice cream? Blue Bell Dessert Trio – homemade vanilla ice cream with a swirl of fudge with chunks of cookie dough AND brownie. How old is the oldest pair of shoes in your closet? Like 7 years old? They are amazing! They’re black and white patterned flats and I’ve worn them so much there are holes in the heels and the soles are starting to fall off but I have declared I will keep them ‘til the day that I die. What movie do you know every line to? You’ve Got Mail! Favorite moment while at Lemonade Day? My first Lemonade Day. It was really cool to see everything that we’d been working for come to life.